In the third area of the machinations or the workings of hell, there are spirits of men who are in hell. Now, I ask you a question, “What is hell?” Have you ever thought of what hell is? Where is it? Let me tell you. Hell is a state of existence. Do you hear me? Hell is a state of existence that spirits, who are completely alienated from God, live in. When a man dies, his body goes to the grave and his spirit goes back to God (Ecclesiastes 12:7). But where does his soul go? It goes either to heaven to be with the Lord Jesus, or to hell. Hell, therefore, is the spirits “walking to and fro through dry places (in the earth), seeking rest and finding none” (Job 2:2, Luke 11:24). Didn’t Jesus say that? So if your grandfather was against God and died a sinner, where is he? He is walking up and down through the earth, seeking rest and finding none! Do you think he would walk back into your house sometimes? Do you think he would sometimes try to put his influence upon you? Do you think that hell would not use him to bring death and consternation to you? This is where they have said that I am a sorcerer. But I can tell you authoritatively that I not only see it in my Bible but I have met these spirits, I have talked to them, and I have driven them back! Amen! I have read books from these mighty men of the Gospel, these theologians, and they will tell you concerning these things, “Oh, it is just an impersonation of the devil. It is not the person, but it is the devil that is impersonating that person.” But let me tell you, I have met the dead person and it was the person. IT WAS NO IMPERSONATION! When Moses died, why did the devil want his body? Why was the devil upset that God took away the body of Moses and buried him Himself (Jude 1:9)? Why is it then that this same Moses appeared on the Mount of Transfiguration in his body (Mark 9:4, Luke 9:30-31)? Because the devil didn’t have it! You see, demons are real. Devils are real. On the other hand, God’s angels are real! 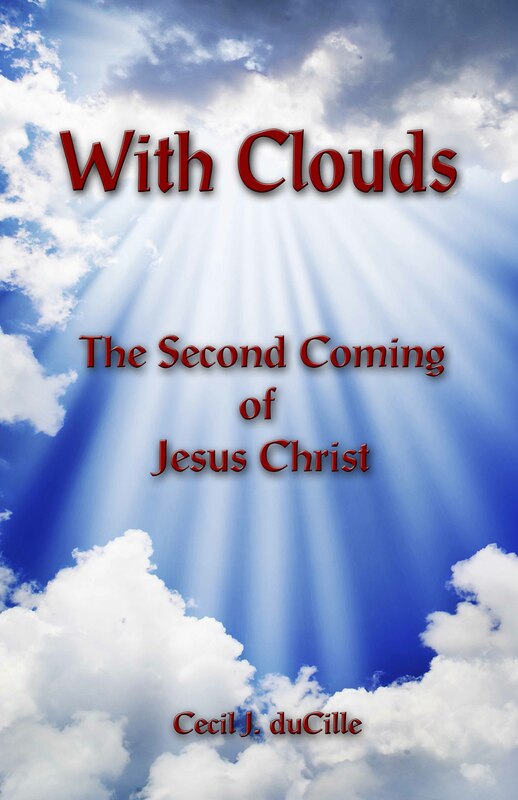 A son of God goes to heaven; God says in Hebrews 12 that “we are compassed about with so great a cloud of witnesses, therefore let us be careful how we run the race!” Why? It is because they are taking the examples from us. God will not reveal the end time truths directly to the heavenlies. He is going to reveal it to the CHURCH (Ephesians 3:10)! Amen! The Scriptures in 1 Peter 1:12 say that the angels desire to look into it! The angels want to learn! Heaven wanted to learn! They sent back Moses and Elias at the transfiguration to ask Jesus about His death, His burial, and His resurrection. If they knew, why would they come to ask Him? It is because they did not know. It is the church that has the revelation of the Christ and the end time, but the angels have to learn from us! For we are the people who are under the temptation and the problems and troubles. God wants us now to rise up and to begin to speak to the spirits that bother us! Ancestral devils will not have the power over us again, for every time you recognize a wrong thing in yourself, you will call upon the name of the Lord. If a wrong word slips out of your mouth, if you rebuke somebody, if you hurt somebody, immediately call upon the name of the Lord and you will be set free. Ancestral devils must not have any more powers over us. You know, if I were preaching to an African crowd, everybody would understand what I have been saying, because they actually worship these ancestral devils. Do you see what I mean? They would all understand; but now God has lifted the understanding of the other nations to understand, too. YOU MUST BELIEVE! Thought for today: Rise up and stop the power of the ancestral spirits over you and your family by living a continual life of repentance.